A collection of twenty-six writers, Kingdom of Olives and Ash touches on all the main elements of the Israeli occupation of Palestine. All are well written, as they should be for a collection of experienced writers, some tending towards emotional reactions, others simply describing events and sights leaving the reader to their own emotional reaction, while most do both. All topics are commented on as the writers experienced first hand the daily trials of life in Palestine. 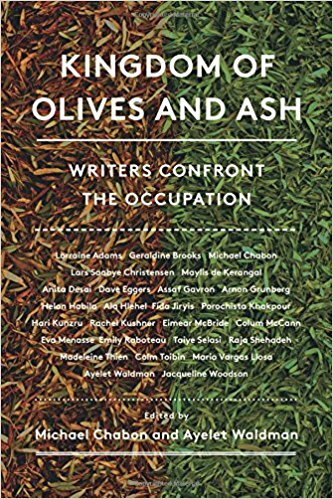 The writers visited Israel/Palestine in 2016, with small delegations organized by Breaking the Silence, the group of former Israeli servicemen and women opposed to the occupation and its actions. No one involved in the governance of the occupation escapes criticism. Hamas is criticized for its harsh rule (but then again I wonder, given the circumstances…); Fatah and the PA are equally highly criticized for their vichy governance of the West Bank; Arafat is criticised, but mostly sympathetically as a political figure maneuvered into compliance with the stronger powers. 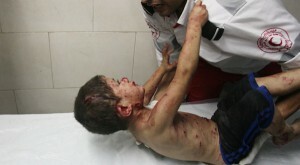 Most of all, as should be expected, the Israeli treatment of the Palestinian population is the focal critical point. For readers already familiar with the Palestinian occupation, the list of topics is all too familiar: the occupation itself as a machine, a destroyer of dignity, and of time; the seemingly ubiquitous checkpoints, roadblocks, and the strength of the taxi drivers finding their way around it all; the many colour coded passports, licence plates, passes and permits; the large issue of water and its distribution always associated with the settlers, their settlements, and the general landscape. The stories are also very personal; the treatment of children; the interrogations and home invasions/destructions; the poverty of the refugee camps and the imprisonment of many, including the open air prison of Gaza; the night time raids on houses intended to cow and intimidate, to create a submissive population, the seizures of family members while others watch helplessly. Yet, through these writers eyes and ears, the steadfastness, resilience, generosity, and kindness of the Palestinian people stands in contrast to the general contempt and anger against them by the settlers, and the bored, uncaring youth that make up the occupation forces. Lots of truth in those statements, but it reveals the overriding narrative that Israel is a democracy, and exemplary one at that. That is the image that Israel has promulgated along with western media, but the reality of history is that Israel has always been a colonial-settler racist society and thus very much not democratic. It is, after all, a well crafted image, crafted by words, photos, and above all, by well placed money and threats. This is the Israeli narrative of Israel as victim, being weak, needing protection, necessitating its belligerence towards the enemy. Yet Jordan has always been weak and generally done as required by Israel – and has a peace treaty with Israel. Egypt has a peace treaty and is supporting Israel’s control of Gaza. Iran has previously traded oil with Israel as well as receiving assistance during the Iran-Iraq war. Saudi Arabia is a de facto ally, tied into the U.S. petrodollar system, and currently aiding and abetting ISIS along with Israel in Syria. Israel is not surrounded by enemies, at least not at the level of governance. They have the strongest military, they have hundreds of nuclear weapons with air and sea launch platforms, and they have the support of the all western countries regardless of official positions. The threat for Israel is at least twofold, and both are internal. First off it is its own worst enemy as indicated above as it “degrades” itself with its racist colonial settler policies. Secondly, and always, has been the demographic threat, recognized by the first Zionists such as Jabotinsky and Herzl, and continuing up to Ben Gurion, and all Palestinian leaders. Thus the ethnic cleansing during the nakba, during the six day war, and the slow, persistent ethnic cleansing of the settlements, evictions, house destructions that has been ongoing since the state was formed. The Israelis have always recognized that the land was occupied before they arrived. They crafted an image, a narrative, to conceal their real intentions and actions. I applaud these authors and the resulting book for their personal examination of their own thoughts and feelings, expressed in short well written essays. For a newcomer to the Palestinian crisis, these stories provide a close up personal view of the lives of the Palestinians, a view never offered by western mainstream media. For more well informed readers, aware of the historical trends, and probably aware of the many personal sufferings of the Palestinians, it serves as a reminder that the occupation continues unabated, more constricting than ever.